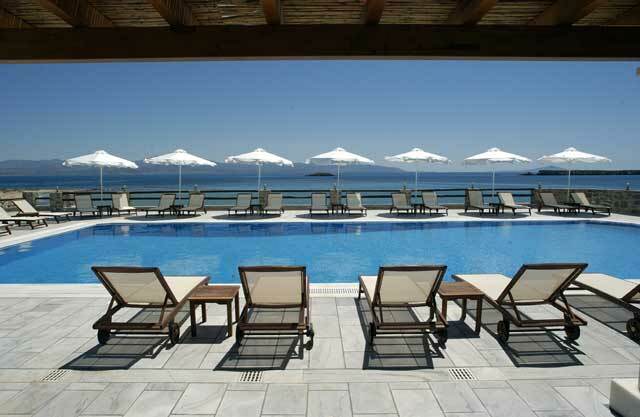 The ultimate summer resort in New Golden Beach is Saint George Hotel. 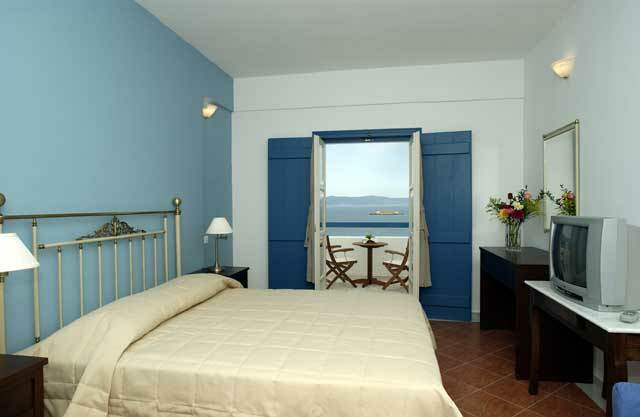 It is a complex of rooms situated a few meters from the water front, offering panoramic view of the Aegean sea from most of its rooms. The hotel marries in a unique way the insular architecture with contemporary style creating a unique aesthetic result. 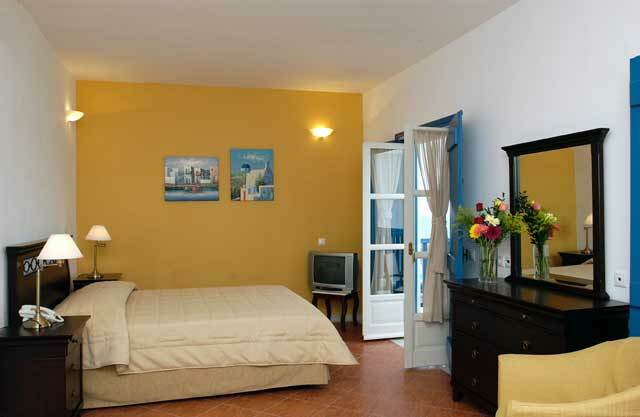 It was built in 2004 and consisted 39 single / double / triple rooms, 13 family suites and 3 junior & superior suites. The guests of Saint George Hotel will have a memorable time in their rooms, as all the necessary facilities are offered in order to feel like home. 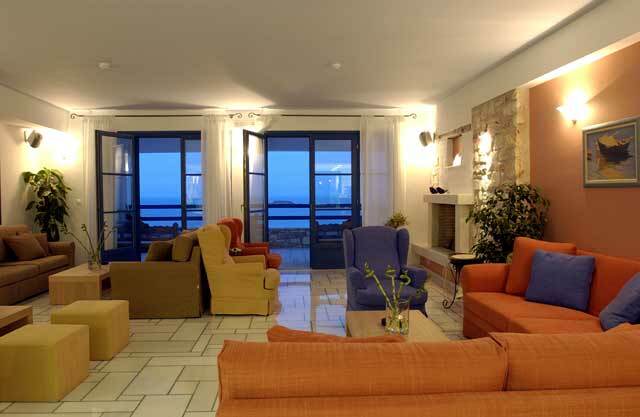 All rooms include air conditioning, satellite TV, mini bar, Wi – Fi internet access, Coiffure (on request), direct dial phone, hair dryer, marble bathroom, and a balcony with fantastic view to the sea. This hotel disposes services and facilities for a memorable stay. The hotel organizes transfers. At the restaurant of the hotel American buffet breakfast is served from 07.30 to 10.30. 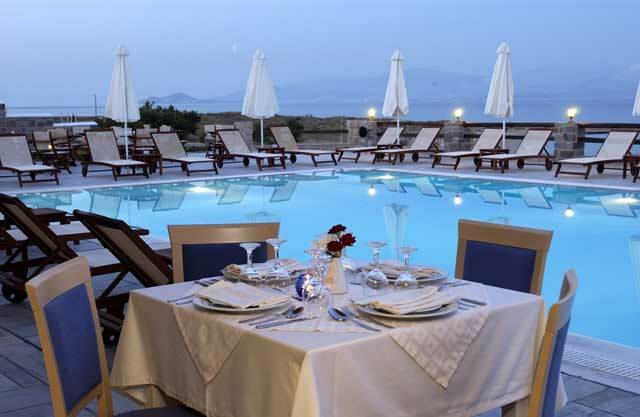 You may dine with a choice of buffet or a la carte from 19.30 to 22.00. The hotels pool is open from 8.00 in the morning. At the pool bar-restaurant spirituous and non-spirituous beverages, snacks and a big variety of local dishes are served from 11.00 till late at night. The beach is open from 10.00 till 18.00 Umbrellas and sun beds are available, free of charge. There is a 24 hours reception service where you will find information and assistance regarding schedules for means of transportation – busses, ships, etc., excursions, rent a car, rent a bike, laundry service and baby sitting services. If you decide to perform a ceremony in our beautiful island, the chapel of Saint George is the ideal choice for you. Golden Beach and New Golden Beach are considered ideal for the lovers of waters sports. They have all the infrastructures for windsurfing, as and two surf clubs with experienced trainers. 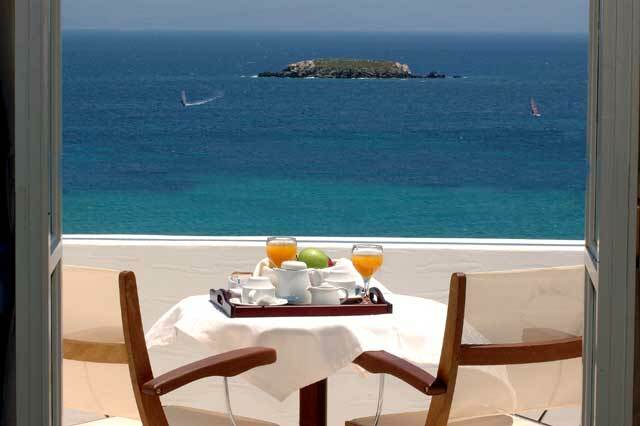 It is extremely organized with hotels, surf clubs, restaurants and bars, which attract thousands of tourists every year.